Mismanaged since poor decisions on Mass Effect 3, one of EA's big franchises has bowed out for now. How did such a well-loved series decline so fast? Electronic Arts made a low-key announcement this week; it's ended work on the single-player aspects of Mass Effect: Andromeda. There will be no further patches and, rather more notably, no single-player DLC for the game. It's not a terribly exciting announcement in and of itself; but it represents a fairly dramatic low-water mark for the Mass Effect franchise, which only a few years ago was a celebrated, bankable series that gave EA core-friendly tentpole releases, not to mention the reflected glow of affection for BioWare, the jewel in EA's crown of studios. For the latest game in that franchise to have performed so badly that it's not even worth finishing and releasing the almost certainly planned DLC is pretty abysmal. It's tempting to lay the blame for that failure with Andromeda itself; to slam it as the game that sank a grand franchise, for in its wake it seems inevitable that Mass Effect will go dormant for several years. Andromeda is easy to give a kicking to. Since it launched it has become a watchword for several things, none of them good. It was released in an unfinished and buggy state, becoming a focus of consumers' increasing ire at being fobbed off with half-finished AAA releases and the promise of patches; its animations were dramatically awful, making it into a poster child for the kind of errors that destroy games because they're so easy to show off on YouTube or Twitch. Such things might have been forgiven if the rest of the game was spectacular; the rest of the game wasn't spectacular. "It isn't so much that it killed the Mass Effect franchise, as that it failed to rescue a franchise that was already stumbling badly"
The thing is, the rest of the game wasn't actually bad, either. Coming to Mass Effect: Andromeda as it stands today, all patched up and looking like it ought to have at launch, it's actually a pretty decent game. It's not the best game in the franchise; it's also not the worst. It bears the scars and stretch marks of its tortuous and ill-planned development process for all the world to see, but the skill of its creators is also evident - it's a fun and entertaining game to play. Patched together from an assortment of ideas from hypothetical better games, certainly, but the result is far from awful. It's not a classic; it's also not a franchise killer. Yet it did kill a franchise - or at least, put one to sleep for a very, very long time - and it's worthwhile to think about why and how that happened. It wasn't just about Andromeda; by the time that game arrived on the scene, the Mass Effect franchise had been mismanaged and subjected to a series of poor decisions that left it weakened. Andromeda turned up with an enormous weight of expectation on its shoulders; it isn't so much that it killed the Mass Effect franchise, as that it failed to rescue a franchise that was already stumbling badly. Think about what Mass Effect: Andromeda was supposed to accomplish, and what it was given to work with. Mass Effect 3, for all that it had some excellent points, made a proper mess of its ending - in two ways. The first, which has been well discussed at length, is that it annoyed fans of the franchise by making their decisions feel inconsequential; it delivered a set of poorly differentiated endings which reflected little about the universe created by the player's actions and the character they'd created over the course of three lengthy games. The backlash to this was somewhat absurd (a critical response was fine - yes, it sucked! - but many players' angry demands went far beyond reasonable criticism) but in essence the problem was real; Mass Effect had made an implicit promise that your actions had consequences, and then broke that promise in its closing moments. 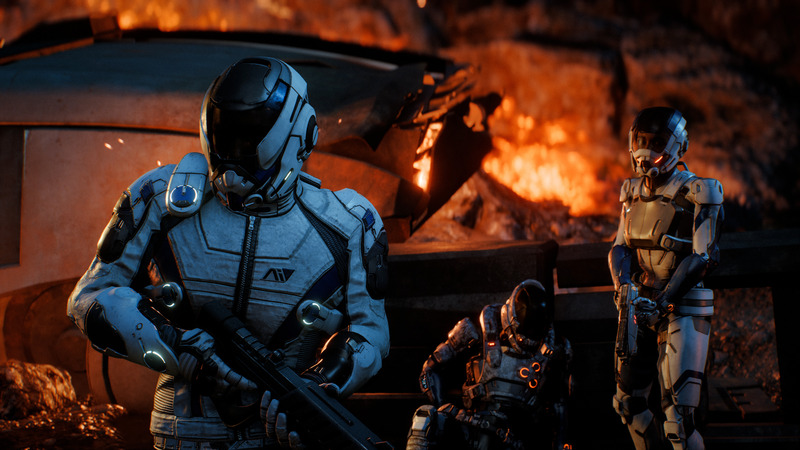 Will EA be able to breathe new life into Mass Effect after the Andromeda debacle? So, fans were down on the franchise by the time a new trilogy even started being sketched out... And that's where the real franchise mismanagement comes in, because the ending of Mass Effect 3 had a much bigger problem than simply being disliked. The games were originally planned as a trilogy, which is fine and good, but it was obvious that the success of the franchise meant that it would stretch beyond three games. The third game could draw the central story of the trilogy to a satisfying conclusion and leave the pitch open for later instalments. "There's a gulf opening between the acceptance of Early Access models, and a growing intolerance of bugs and glitches in AAA releases"
Instead, though, the game essentially flipped the chessboard and scattered the pieces on the grass. The endings offered managed to be simultaneously unsatisfying to players who wanted to see the consequences of their actions; and incredibly damaging to the future of the franchise, which would have to continue without pretty much any of the characters, locations and story elements that players had grown to know and love. In the name of a dramatic science fiction ending that players didn't even like anyway, the creators essentially shut off the entire galaxy they'd spent a decade or more building from being used in future games. Hence, Mass Effect Andromeda arrived with an enormous task at hand - to bring the faithful back to the franchise they'd been so annoyed with after Mass Effect 3 - and utterly shorn of its most effective and useful tools, the characters and other narrative elements of the original trilogy. This is the equivalent of trying to make The Force Awakens, reviving Star Wars after the reviled prequel trilogy, but being told "oh, sorry, literally everyone and everywhere from the original trilogy died in a big... science fiction... explosion.... So you can't use any of them, or even really refer to them." If Andromeda had been an amazing game; if it had offered up compelling characters exploring amazing locations and discovering fantastic things, with great combat that fulfilled Mass Effect's core promise of combining third-person shooter and RPG mechanics to the letter, that wouldn't have mattered. Instead, Andromeda was 'okay'. It was 'fine'. And actually, at launch, it was rather less than either of those things... which is where the other enormous piece of mismanagement in this tale comes in. Publishers have become very, very complacent in recent years about releasing games that aren't finished on the assumption that they can patch them later. This has always been an issue on PC to some degree, but on consoles it remains a relatively new development, and has been getting worse and worse. Platform holders find themselves in a Catch-22 situation, where they want to be more strict on post-launch patching but also don't want to leave genuinely major issues unpatched, or to restrict the growth of post-launch development and expansion of successful titles. Without the platform holders being strict on patches, publishers have taken to prioritising launch windows over actually having a finished game to launch. "Just as Andromeda right now is a pretty solid game, No Man's Sky a year after launch is actually pretty great"
You could argue that this is simply following the current trend; that gamers are getting more and more used to unfinished code anyway, thanks to initiatives like Early Access and various beta releases. What actually seems to be happening, though, is that there's a gulf opening between the acceptance of Early Access models, and a growing intolerance of bugs, glitches and unfinished elements in AAA releases. This has been vastly exacerbated by the growth in popularity of streaming and YouTube, which are mediums that lend themselves to polarisation on this topic. Streamers treat Early Access with kid gloves to some extent, understanding it, quite correctly, as a chance to see a game that's still a work in progress with all that that entails. They are, however, brutal in their treatment of bugs or unfinished content in full-priced AAA titles, and when they find egregious examples of a visual bug or glitch, their broadcast criticism can turn into an online pile-on that defines the broad audience response to the game as a whole. Live by the sword, die by the sword; EA in particular has engaged closely with this side of the media in recent years, and their response to the badly bugged launch version of Andromeda probably did more than anything else to cement the popular view of it as a terrible game. EA's not the only publisher to have made this error in recent years, and there are far more egregious examples out there. 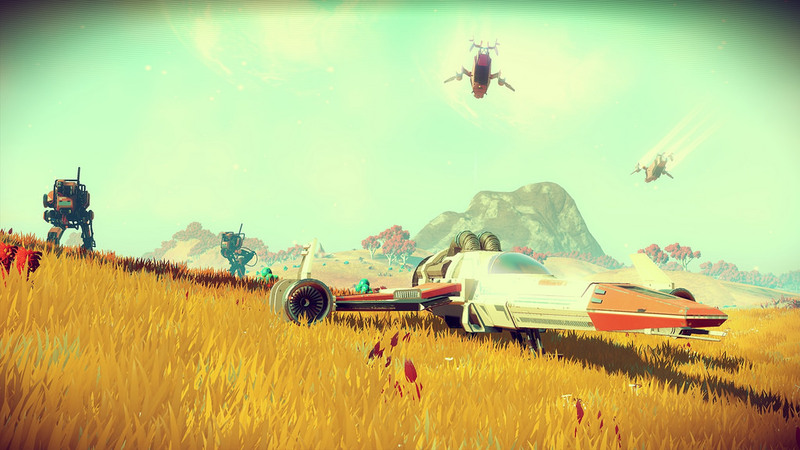 Perhaps the worst is Sony's handling of No Man's Sky, which - though I personally like the game very much - was guilty of a great many sins in how it marketed and presented itself, but guilty most of all of launching a solid year before the developers finished many of its core features. At least Andromeda only took a month or so to get into decent shape! Just as Andromeda right now is a pretty solid game, No Man's Sky a year after launch is actually pretty great (albeit still not the Holy Grail some had built it up to be in their imaginations); Sony's decision to push it out the door before it could reach that point made some kind of commercial sense, on some spreadsheet somewhere, but has been disastrous for the game itself, for the developer and for what could have been a tentpole release for Sony. These failures - the mismanagement of the franchise over the launch of ME3, the mismanagement of development of Andromeda and the botched decision to push the game out the door before it was actually finished - have left the Mass Effect franchise moribund. It's not clear what can be done to pick up the pieces. BioWare has implied that it'll continue telling stories in its universe through other media like tie-in novels, which is a good and sensible move that will hopefully keep some of the most dedicated fans on board until a next move can be decided upon. Perhaps a return to the franchise's roots with a significant next-gen overhaul of the original game might be a good way to restart; or perhaps Mass Effect just needs to take a nap for a few years, wait until this is all largely forgotten and try a quiet reboot. Either way, one hopes that next time around the hands guiding the franchise are a little less shaky. - Giving the franchise to the studio that produced the least good ME DLC (Omega), though they did a pretty darn good multiplayer. - Then saddling them with technical problems which have been documented elsewhere. - Releasing video clips well in advance which were ammo for the organized mob who hated the very existence of the game. They would have been fine for a game without all the political baggage, but this one needed better management. All those would have been okay if they'd been willing to delay the game till it was done, but added to everything else you talked about you get the hairball of franchise death. Marketing of games has become really good at getting people to buy a game who are not necessarily part of the core audience. Hyperbolically speaking PR these days aims at getting an RTS fan to buying the new Quake six months in advance. While that is good for sales, there are also enough websites around who make it their business to collect and aggregate opinions. Those sites tell the tale of people who should have never bought the game, but PR got them anyway. The currency in which you pay for highly optimized sales figures is mediocre word of mouth. No game by a major publisher is safe from that. However, a few indies on Steam do have a 90%+ approval rate. Cynically speaking, they lack the money to buy PR which expands their customers beyond a circle of players who are really on board with the game. Let's call the devil by its name, though. February 28th - Horizon, March 3rd - Breath of the Wild, two contenders for game of the year. March 21st - Mass Effect Andromeda, a fine game as the article mentions. Fine in this context being a word for utterly not good enough to compete in such a market. ME:A was a good game. There had been some problems with it, yes okay. However, it is a prime example how you can run down a wonderful IP just with bad management. If the studio would have received some more resources and help I am sure the game would have turned out better and without those issues. I can only assume it did not happen because management pushed everything available onto Anthem. Both are using the same engine, lets see what it can do in other hands with full resources and backing by management.